About a year ago I posted this entry here showing me, in the white shirt, celebrating my birthday. Lydia made a comment about its crispness. 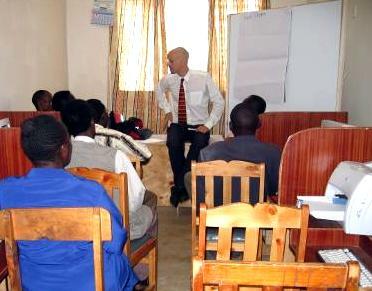 Featured in a photo by Vini at the Computer Skills For Managers course I did in Kitui recently. This entry was posted on Wednesday, March 16th, 2005 at 8:45 am	and is filed under Uncategorised. You can follow any responses to this entry through the RSS 2.0 feed. You can leave a response, or trackback from your own site. And it looks lovely and crisp on you still sweetie!